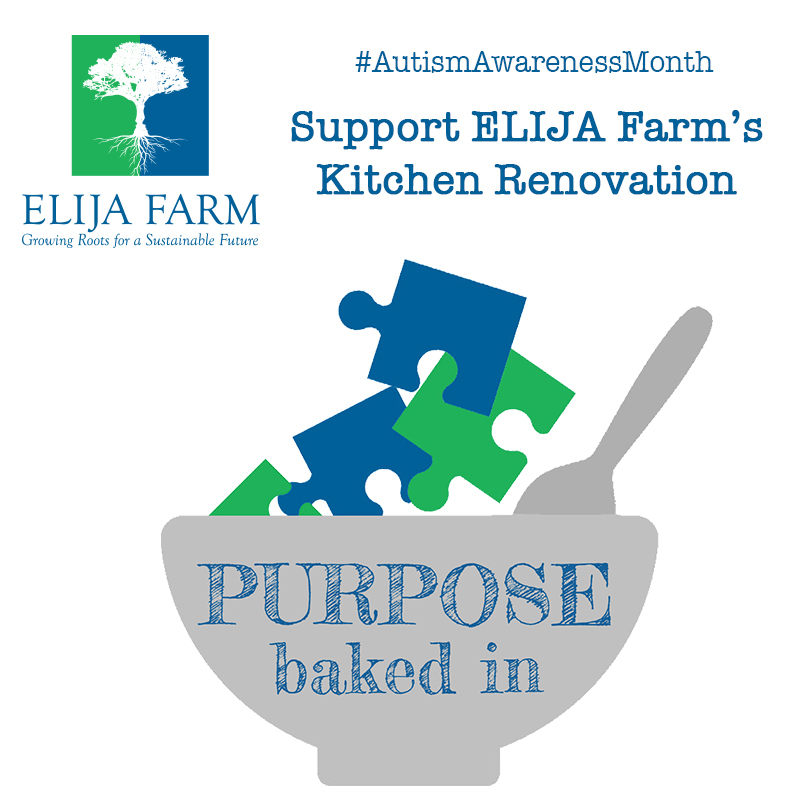 Join us April 30th to support autism awareness and ELIJA Farm! We invite you to join us April 30th for an evening of Autism Awareness benefitting ELIJA Farm. 100% of all proceeds will be donated to ELIJA Farm to support the building of their new kitchen, adjoining rooms, and other important renovations needed for the farmhouse. Please come help us support a great cause and learn about ELIJA Farm’s mission and involvement in the autism community while enjoying delicious food tastings, drinks, and music. We hope to see you there and can’t wait for this exciting event!